WASHINGTON—The illicit opioids being manufactured in China and shipped to the United States are “almost a form of warfare,” President Donald Trump said at a cabinet meeting on Aug. 16. “In China, you have some pretty big companies sending that garbage and killing our people,” Trump said. More than 71,500 Americans died of a drug overdose in 2017, according to provisional data released Aug. 15 by the Centers for Disease Control and Prevention. 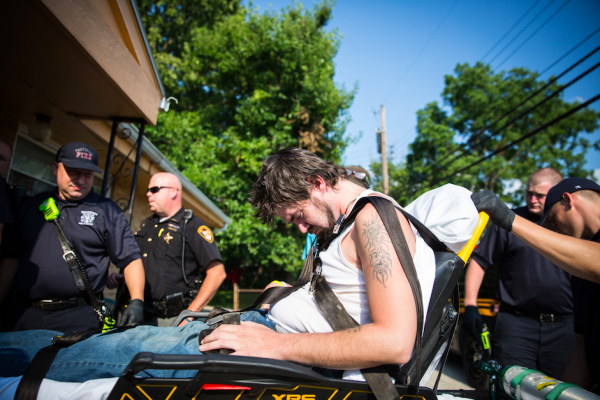 At least 68 percent of those deaths can be attributed to opioids. Most illicit synthetic opioids are manufactured in China (and increasingly Mexico), and enter the United States via Mexico or the postal system. Fentanyl, the most common synthetic opioid, was originally developed as a painkiller and anesthetic. It is 50 to 100 times more potent than heroin—two milligrams of fentanyl is a lethal dose for a non-opioid user. It is often mixed in with heroin or pressed into fake painkiller pills made to look like real prescription drugs, making them more deadly. Carfentanil is less common but much more lethal; it is used as an elephant tranquilizer and is 10,000 times more powerful than morphine, according to the Drug Enforcement Administration (DEA). Even a few specks of airborne powder can be fatal. 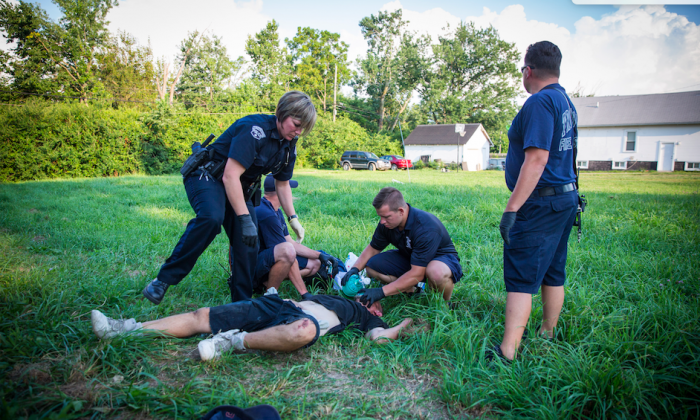 Between 2013 and 2014, there was a 79 percent increase in deaths related to synthetic opioids, according to the 2016 DEA heroin report. Since then, the trend has continued to climb. Trevor Loudon, an expert on communism and Epoch Times columnist, said it’s an “absolute fact” that the fentanyl is coming from China. “And you can’t tell me that in a police state like China—where they know everybody and what everybody is doing—you cannot tell me the Chinese government is not aware of it. You cannot tell me the Chinese government is not controlling it and funding it,” he said in a May 10 interview. The book “Red Cocaine” by Joseph Douglass Jr. shows how the Chinese regime began pushing the heroin and opium trade back in the 1950s, Loudon said. “They were behind much of the heroin and world drug trade and they were cooperating with the cartels in Latin America,” he said. Last year, the Department of Justice (DOJ) announced its first indictments against two Chinese manufacturers of fentanyl and other opiate substances. “[They] have been using the internet to sell fentanyl and fentanyl analogues to drug traffickers and individual customers in the United States,” said Deputy Attorney General Rod Rosenstein in a statement on Oct. 17, 2017. Over at least six years, suspect Xiaobing Yan is alleged to have operated websites advertising and selling acetyl fentanyl and other deadly fentanyl analogues directly to U.S. customers in multiple cities across the country, according to the DOJ. The case was brought by a federal court in Mississippi. In a case brought in federal court in North Dakota, investigators traced the imported drugs back to Jian Zhang in China, who is alleged to have manufactured fentanyl in at least four labs in China and sold it to customers in the United States, using the darkweb and the crypto-currency bitcoin. The U.S. 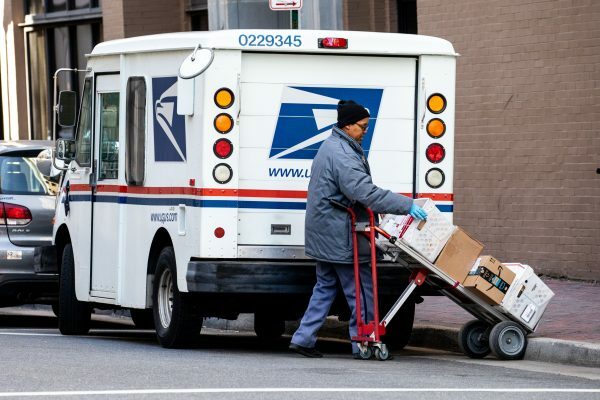 Postal Service handled more than 275 million inbound international packages in 2016, according to an investigative report conducted by the Senate’s Permanent Subcommittee on Investigations and published in January. That volume is three times larger than the combined volume (approximately 65.7 million) handled by the three largest express services—FedEx, UPS, and DHL. Over a three-month period, the subcommittee communicated with six online sellers, posing as a first-time fentanyl purchaser. 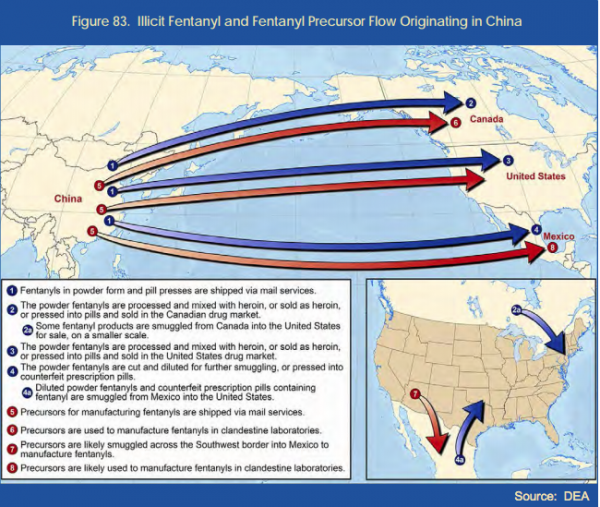 According to a July 2016 DEA report, “Customers can purchase fentanyl products from Chinese laboratories online” and “powdered fentanyls and pill presses” are shipped via mail services. “Traffickers can typically purchase a kilogram of fentanyl powder for a few thousand dollars from a Chinese supplier, transform it into hundreds of thousands of pills, and sell the counterfeit pills for millions of dollars in profit,” the report said. The subcommittee found that the online sellers preferred to be paid through cryptocurrencies such as bitcoin, which offers more anonymity, but accepted other payment options, such as Western Union, PayPal, credit cards, and prepaid gift cards. The subcommittee didn’t finalize an actual order during its investigation. 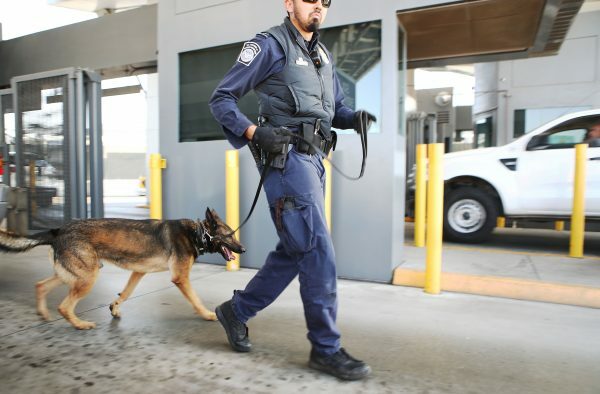 U.S. Customs and Border Protection (CBP) is responsible for identifying suspicious packages sent through the international mail stream—primarily at mail centers located at five major airports, in New York City, Chicago, Los Angeles, San Francisco, and Miami. For many years, CBP didn’t list China as a “country of interest,” due to the high volume of packages China shipped to the United States. This meant packages from China were not sent from the USPS to CBP for inspection. In November 2015, the postal service launched a pilot program that used more advanced electronic data to track packages and divert them to CBP upon request. CBP specifically targeted small packages under 4.4 pounds coming from China through JFK airport in New York City. “To avoid heightened targeting by CBP of packages from China, online sellers stated that they would divert packages through other countries first before the package ultimately arrived in the United States,” the report stated. On average, for the 2017 calendar year, 64 percent of packages sent to the United States (318,890,000 packages) had no advanced electronic data about “who sent the package, where the package was going, or what was in the package,” according to the report. Most illicit opioids coming across the southwest border are hidden in vehicles entering the United States through ports of entry. So far in fiscal 2018, CBP agents at ports of entry have seized 1,304 pounds of fentanyl (as of June 30)—enough to make almost 4 million counterfeit pills containing 1.5 milligrams of fentanyl per pill. A further 336 pounds of fentanyl have been seized between ports of entry by Border Patrol. In fiscal 2016, 440 pounds of fentanyl were seized at ports of entry, while in fiscal 2017, that spiked to 1,196 pounds, matching the trend in overdose deaths attributed to the substance. So far this fiscal year, CBP has also seized 4,100 pounds of heroin, 42,800 pounds of cocaine, and 59,800 pounds of methamphetamine at ports of entry (as of June 30). “The Chinese make huge money off this,” Loudon said. “It creates crime and chaos in target countries. It destroys the moral fabric of the target countries. It creates huge opportunities to corrupt public officials and businessmen. Loudon said past administrations have been too soft on China, afraid to offend its leaders. He said the United States extradites drug traffickers from Latin America, Europe, and Africa.